Sverre Kjelsberg was the vocalist and bass player of The Pussycats, the first pop and rock band to achieve stardom and fandom in Norway, in the mid-1960s. "Just A Little Teardrop", one of the band's biggest hits, was composed by guitarist and main song writer Trond Graff in bed in a hotel room in a couple of hours armed with an acoustic guitar and a bottle of egg liqueur. 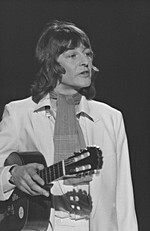 Sverre might be even more renowned for his performance of "Sámiid Ædnan", that he wrote the music for, along with Mattis Hætta at the Eurovision Song Contest in 1980. Probably the most talked about and partly sung controversial political song in the history of pop music in Norway. 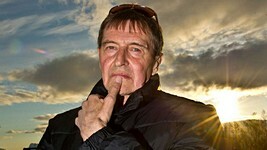 Sverre was also a profiled singer-songwriter, actor and composer of theatre music. May he rest in peace!